WordPress is installable on any domain regardless of whether it is your primary domain or a secondary domain. 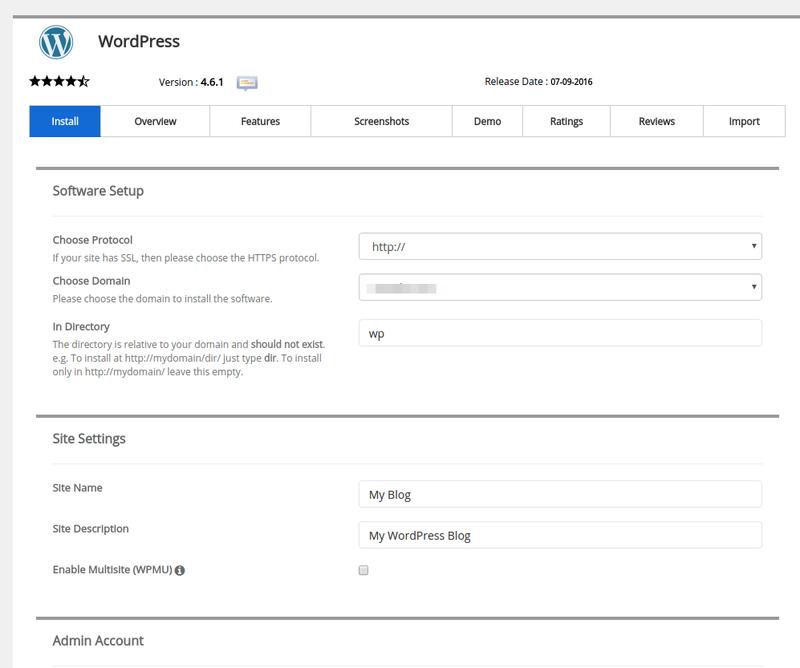 With Softaculous, you can install WordPress on an addon domain in the same way that you would install WordPress on your primary domain. This does not require a WordPress.org account prior to setup. 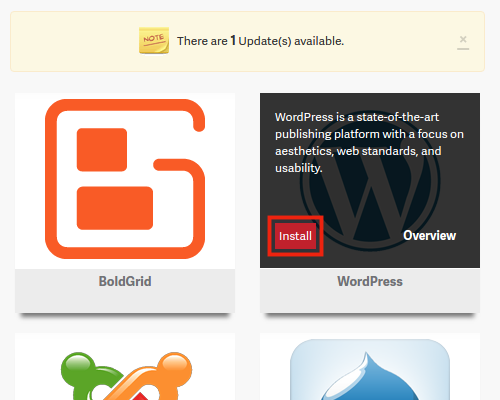 Once you are in Softaculous, choose WordPress for the install. Fill in the necessary fields (see below for a summary of what these fields mean). Most importantly, make sure you choose the addon domain under the Choose Domain field. What Do All These Fields Mean? Below are some brief explanations of what these fields mean and what kind of options you can configure with them. http://, http://www., https://, and https://www. Choose Domain Choose the domain you want to install Wordpress on from the drop-down list. Your primary domain, and any addon or parked domains will be listed. Database Name Enter a name for the database that will be created here. Table Prefix You can enter text here, and it will be added to the database table names. Site Name Enter a name for your site here, this can be changed later in the Wordpress Dashboard. Site Description Enter a description for your site here, this can be changed later in the Wordpress Dashboard. Enable Multisite Check this box to use the multisite option in Wordpress, which allows you to host multiple sites in one Wordpress installation. Admin Username The default username is admin, the name you enter here will be the name you use to to login to the Administrator's area or Dashboard for Wordpress. Admin Password Create a password, this will be used to login to the Dashboard section. Admin Email Enter a valid email address, if you forget your password a email will be sent to this address in order to reset it. Select Language From the drop-down menu choose the language that you want your Wordpress to be installed in. There are many popular options available. 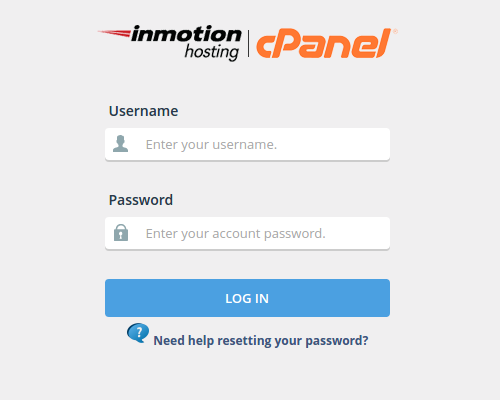 Provide the best server option for your WordPress sites by using InMotion Hosting's WordPress Hosting solution. 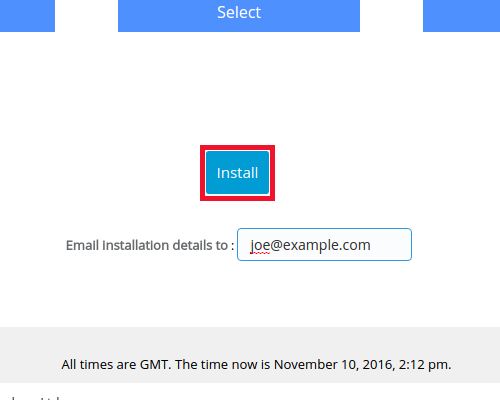 The final option for Email installation details to: involves entering an email address to receive a summary of the WordPress installation details. We recommend using this feature. Be sure to save the email adress for future reference. I have only used one of my two websites. The maximum number of databases you can create has been reached, so installation cannot proceed. This error is made in reference to the number of MySQL databases not websites. You will need to delete some databases in the database manager in cPanel. When I looked for more information, it told me to use the file manager on my cpanel to remove existing files. I did not see any of these listed. One reference said this happens sometimes and is frsutrating but didn't say how to fix it. 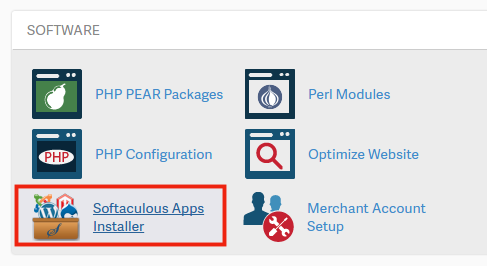 Are you installing WordPress manually or using Softaculous? Ive installed successfully the Wordpress but when I want to log in to it, it says 400 error both on my website and my Wordpress log in page..
Hello Mox, a 400 error is a bad request error. This has to do with your site configuration or settings and is account specific. You will need to contact Live Support and they can check the site specific configuration and/or logs.